CBIC mandates every registered person to specify Place of Supply with the name of State in tax invoice in case of inter-State supply. 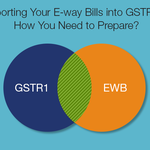 Importing Your E-way Bills into GSTR-1: How You Need to Prepare? Since the advent of GST, one aspect of EWB not contested much is its correlation to the data reported in the GSTR1. 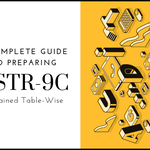 While GSTR1 is essentially a detailed report on all of your outward supplies, EWB is a sub-set to the GSTR 1 carrying details of only those outward supplies where there is movement of goods over and above a threshold limit. Also, there can be a scenario where EWB needs to be generated for movement of goods on delivery challans, but these supplies do not find their way directly in terms of “value reported” in GSTR1. When a business is born, the mind behind the venture begins to dream of a future where the business has grown in every corner of the nation. However, as the business grows, the complexity of the compliances around it also grows. 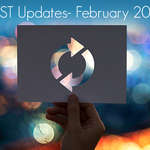 Nevertheless, to facilitate the growth of businesses in India, many provisions have been brought into action under the GST regime. 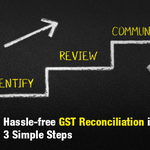 Reconciliation is a crucial step that you, as a taxpayer, need to undertake to avail ITC. 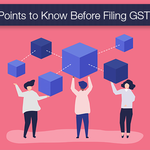 For every month’s GST filing, you need to reconcile your purchase data with all your suppliers’ sales data that they have uploaded on GSTN. Upon reconciliation, if the data on both the ends match, claiming ITC can be a walk in the park. However, an account of mismatch can put you on an arduous journey, exploring through huge piles of invoices for one simple error.